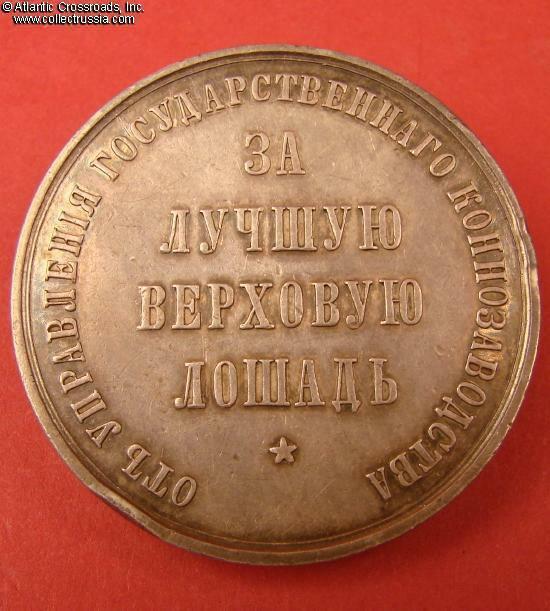 Nicholas II Silver Prize Medal "For the Best Saddle Horse" . 45.7 mm wide; weighs 71.5 grams. Unsigned. 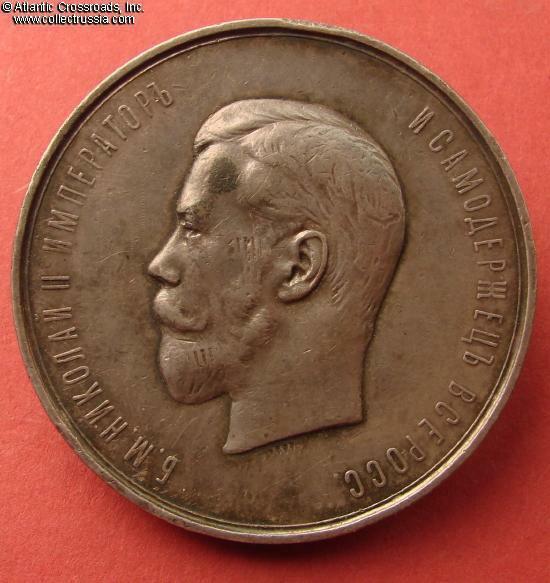 Obverse shows a coinage portrait of Nicholas II; the reverse bears a four line inscription in center and a legend around. Very fine condition. 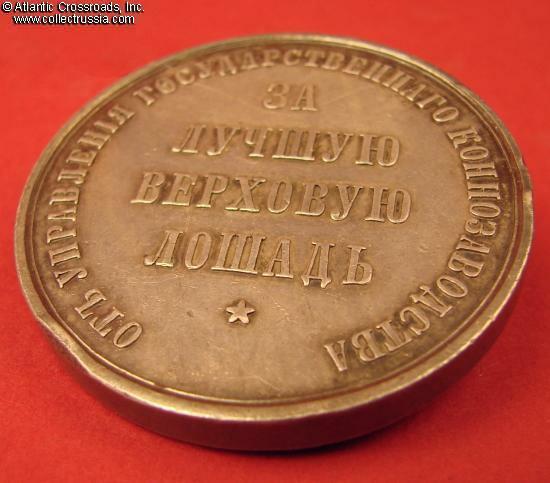 Some small edge bumps (at 12 o'clock on the obverse and at two, three and seven o'clock on the reverse). 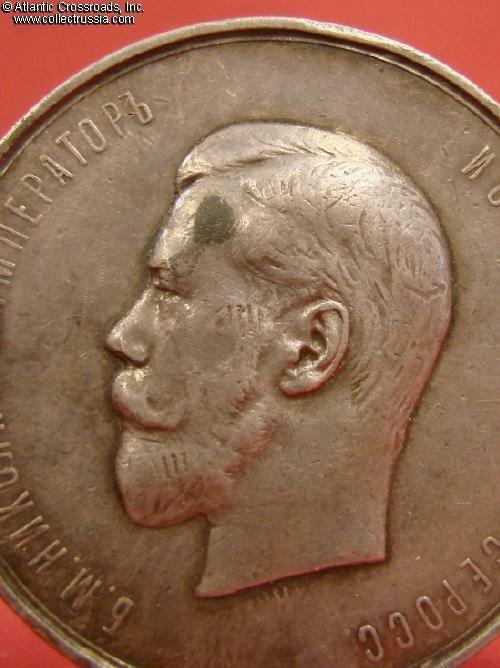 Located in the area of the Tsar's beard are two small areas of parallel scratches which, because they are in his beard, are not detractive. An identical set of parallel marks appears just below the base of the bust (where they could easily be mistaken for a set of engraver's initials!). There is a dark area on the temple over the left eye that would probably respond to a light polishing.